My first choice for a workout would just about always be going out for a run. I love to run outside, especially on a nice sunny day, when the wind isn't blowing too hard. I have been known to run in less than ideal weather conditions, but unless I am training for an event, when it's rainy or windy or very cool, I am probably going to select a different form of exercise. Today we got out for our usual 5km run, just before lunch... decided to take advantage of the the good weather-window and I took my new Simple Hydration bottle along again. Love this little goodie. Walking is my second choice. Yesterday The Captain and I bundled up and went out for a 6 mile walk around the neighborhood. It was really really windy, coming off the Pacific and up the Strait that separates Canada from the U.S.... but the sun was shining and the sky was blue so as we veered away from the waterfront to a few streets away, and thoroughly enjoyed our brisk pace, and we certainly worked up an appetite for lunch. Then, in the afternoon, I was antsy and looking for something to do so I put a walking DVD in the player and did another 45 minutes, 4 miles of run/walking, before my soak in the tub and afternoon tea. I have been enjoying a real variety of workouts over the past several weeks. I do love to run and as long as I am keeping my distances fairly short, under 10 km, I still have lots of energy to do hard sweaty strength work, or full body resistance type workouts, and of course, core work. I really love to work hard, and afterwards, I want to be spent.... to feel like I have made good use of my time... and be confident that my muscles were taxed and somewhat tormented! I wanted to share a few of the workouts I have been really loving lately. I have blogged before about Tamara Grand's #FatblasterFriday workalong videos. I cannot say enough about how much I love them. Every Friday for the past several weeks, Tamara has been producing and publishing a new workalong video... most are body resistance workouts, some are core workouts, and a couple use dumbbells, too. She puts them up on her blog, fitknitchick, and she also has a youtube channel.... I urge you to have a look at them. I have created a Pinterest page for myself with Tamara's workouts on it so I can just go there to find them, and do them in any order I choose. I have been working my core faithfully 3 or 4 times a week for several weeks now. It makes me feel stronger and I have noticed that my lower back is certainly getting stronger, too. I like old-fashioned mat work and this DVD from Kari Anderson is just that... 20 minutes of crunches and variations. It is tough and I love it. Another that I have been using quite a lot lately is by Kathy Smith. This Tummy Trimmers DVD has 5 different core workouts on it... and I particularly like the standing ab work routine. It is light aerobics with lots of stretching and reaching. Kinda fun. There is also one old fashioned mat work program that is great as well. I haven't done any of the other 3 yet. At one time I would have said that I am loving Pilates... but until this dizziness clears up completely, I just cannot take the up and down movements. I am doing the workouts on an old DVD from CRUNCH called Yoga Pilates Super Slimdown. There are not many up and down movements and the ones there are, are done fairly slowly... and I moderate them too. I love this workout and it makes me realize how much more flexibility work I need. This is such an wide and almost undefinable category it seems... but to me it means working with weights or kettlebells and also encompasses lower body work such as squats and lunges. 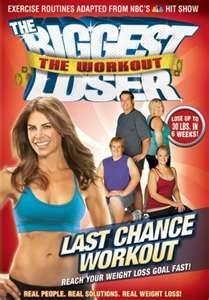 I have several DVDs that I really like - one that I have been using since it was first produced a few years ago is the orginal Biggest Loser DVD. Along with a couple of intense cardio workouts, it has a Bootcamp and a Strength and Sculpt. I love them both. They have really good core components too. The warm up and cool down on this DVD are particularly good as well... the cool down is a full 10 minutes and when I first started doing it I thought that was a waste of time and found it annoying. Now I have come to love and appreciate stretching! I do have some of the other Biggest Loser DVDs and also like the men's strength routine on the 2nd DVD in the series and some of the routines on the Power Sculpt DVD as well. 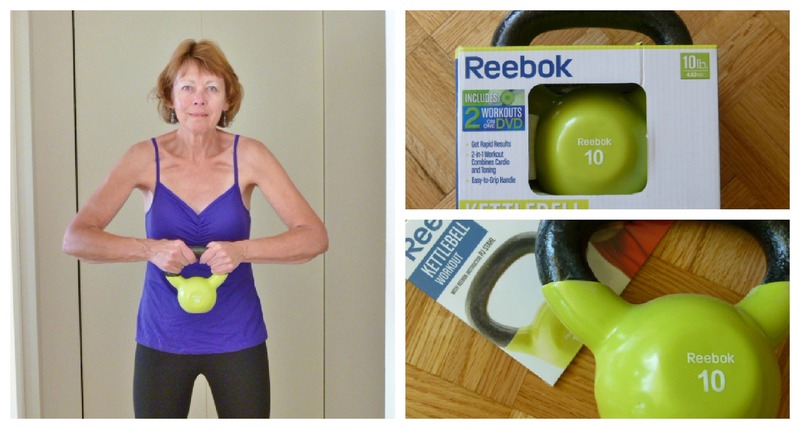 I love my kettlebell and love the DVD that Reebok provided along with it. There is a short warm up and cool down, along with 2 separated 10-minute routines... the second being a bit more difficult. I like to do them both for a good sweaty session! Jillian Michaels is the queen of circuit training. She has produced several of these Shred-style workouts now. They normally have a short cardio burst followed by a strenght/resisitance exercise, repeated in fairly rapid succession, and sometimes there is a core exercise thrown into the mix as well. If you have seen or tried the 30 Day Shred, you will know what I mean. I have never mastered the 3rd level of this workout and honestly, I haven't even tried it for months! A few months ago I was lucky enough to win a 3 month subscription to GaiamTV and I tried several of the other Shred-style workouts that Jillian has done, but the original is still the best I think.... but I do also like her Last Chance Workout. It flies the Biggest Loser flag as well and is a really tough circuit style workout.. cardio and strenth, the last circuit has lots of mountain climbers and plank jacks - I cannot do them all! Occasionally I will try a workout that I find on someone's blog... yesterday I did, or should stay ATTEMPTED, a kettlebell workout sponsored by Sport Chek on DONLOREE and it was killer! And I did find a circuit on Itz Linz that looks worthwhile too. She calls it her 40/20 Full Body Workout. So, even when I cannot run, I always find something else to do... but it has to be FUN, too. If you can't do it, what do you do instead? You really inspire to me use more of the workout DVD's that I have. I told Allan we are going to try all of them one by one and decide which ones he likes, I like, and we both like. wow--you really hit up a wide variety, which is probably great for keeping your body guessing! I am not much of a DVD person, but I do love Spinervals for the bike and the Gaiam yoga videos (Rodney Yi). Thanks for turning me on to some new ones! Such a great variety of workouts!! That's so good. I love Tamara's Fat Blaster Friday workouts. And the simply hydration bottle? It stays put back there? I'm not a fan of core workouts, but I do them because I know it helps my running. Way to shake it up with the workouts!! I am all over those tummy workouts! I need those!! I'm horrible at doing workout DVD's at home. But, I have gotten better at doing other workouts at home. Fantastic round up. Since I've been doing Best Body Bootcamp, I'm really avoiding the gym unless I need to do cardio intervals. Wow! You've got an amazing variety of workouts to chose from without even leaving your house! I love to run too, but if I can't run, I try to go CrossFit-like workouts at home. Running is definitely my favorite workout too, but I feel so much more balanced when I add in strength training and core work. So many great recommendations here, thanks, Elle! My go to workout is running. If I 'm taking a class, I will do kettlebell and boot camp. If I'm doing a DVD, I love the 30 day shred and Eion Finn Yoga! My go to workout is running! If I'm taking a workout class, I like kettlebell and bootcamp. When it comes to DVD's, I'm all about the 30 Day Shred and Eion Finn yoga! 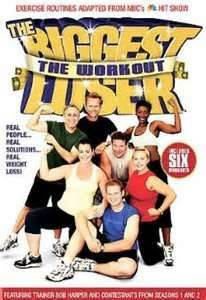 Right now my favorite DVD workouts are kickboxing (TurboFire and Turbo Jam). I have a ton of DVD's and I do want to get back into them but I'm having too much fun spinning and rebounding. I have done the 30 Day Shred before and might attempt it again. I would love to add a set of kettlebell's to our home gym. Thanks for the shout out Elle! I like all Jillians workouts too and agree that 30 day shred is the best. I personally like the Insanity workouts on DVD, but running is usually #1 for me too! Thanks for sharing your picks. p.s. I saw you over on the Sharaholics fitness channel. Congrats on your blurb! very cool! Keep up the inspirational work Elle!